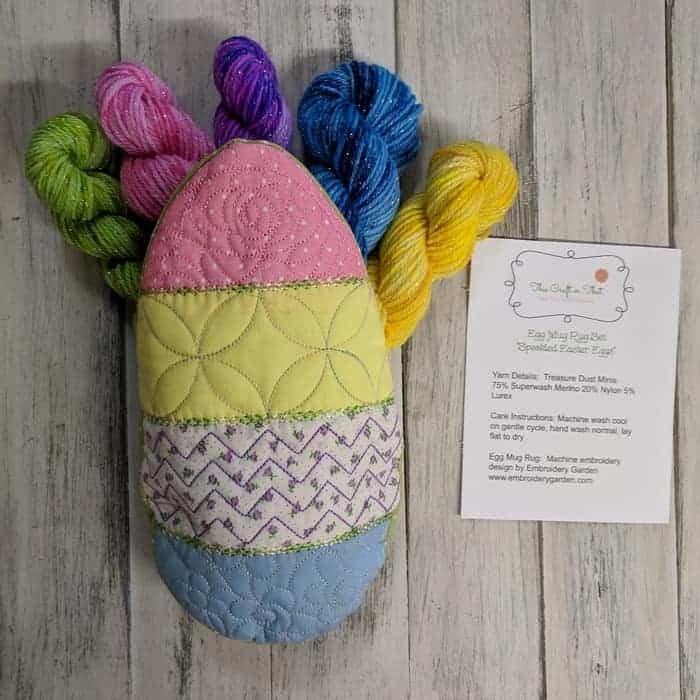 Sam of Lavender Lune Yarn Co. has created the ultimate low-comittment indie yarn club with what she has dubbed The Indie Project. 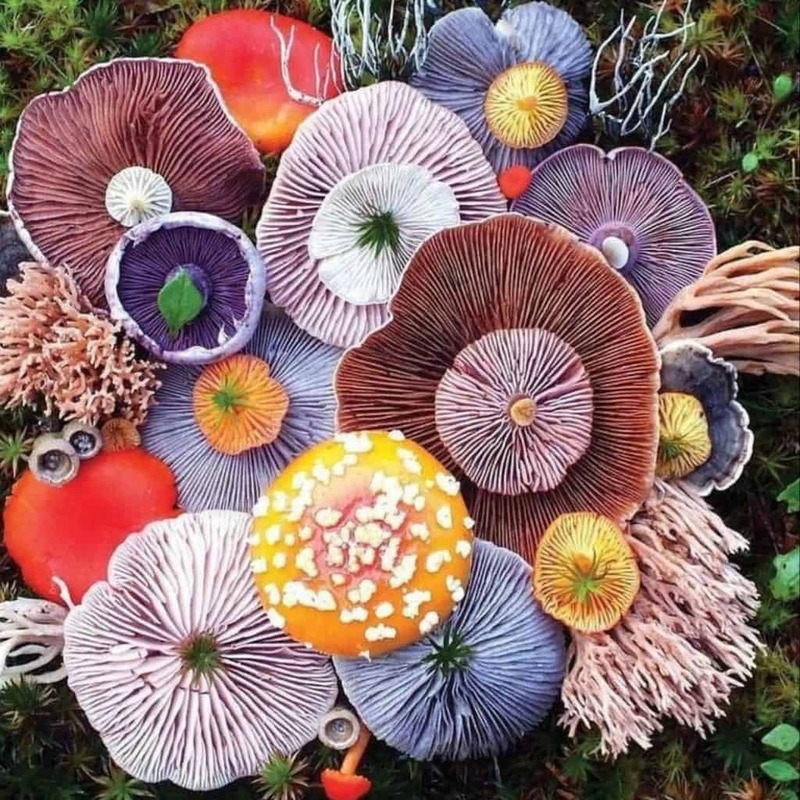 Each month, she teams up with another dyer and each of them take a stab at creating one-of-a-kind colorways based on a common inspiration photo. For April, Sam is working with Nicole of Hue Loco to create a set of yarn inspired by the photo above that can be used for a summer top designed by Olga from Handmade Closet. Preorders will go live in Sam’s shop this Monday, April 1 and they will be open for only one week. 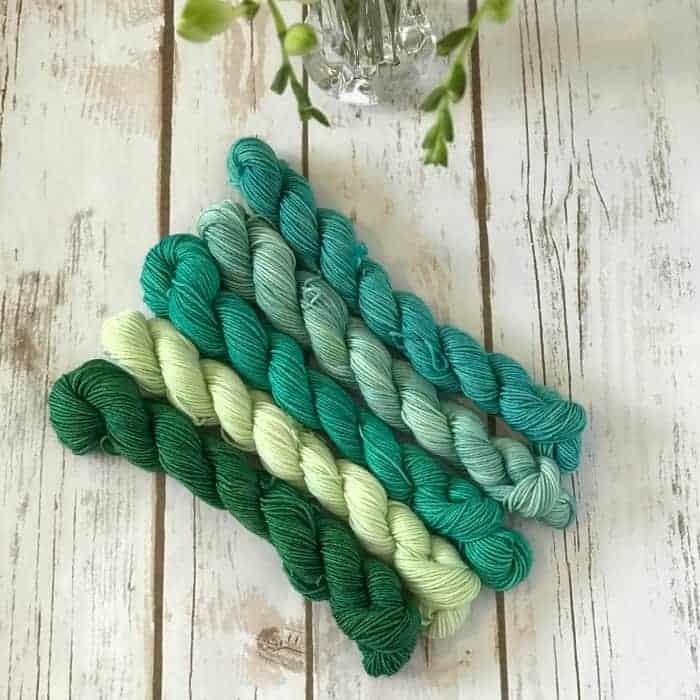 To make up for your fiber festival envy, Sheila of BigFootFibers is giving 25% off when you purchase any four items, including mini skein sets, like her Luck ‘O the Irish Mini Skein Set of the Month. Stephanie of Rock Solid Designs just released these adorable Stealthy Sloth project bags. Because sloths are the new owls. 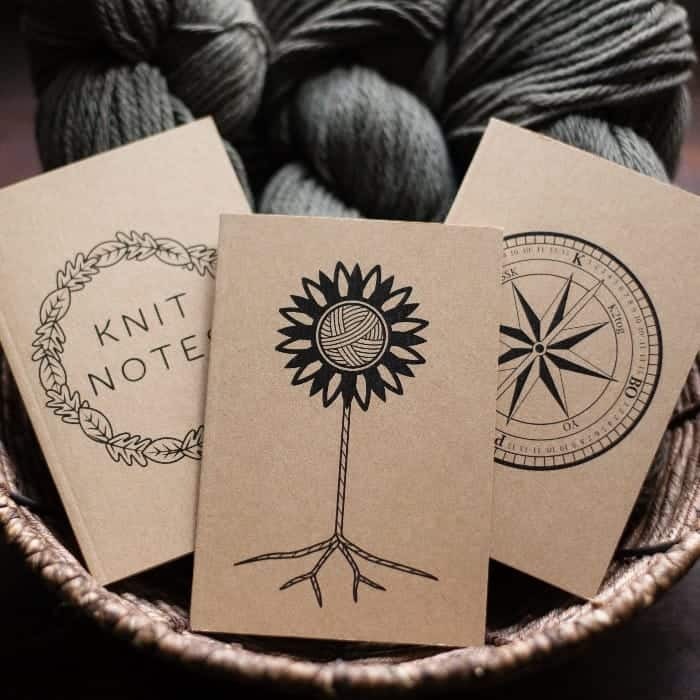 Augusta of adKnits has introduced new knitters’ mini sketchbooks, which are great for jotting down notes or sketching out a quick idea while on the go. 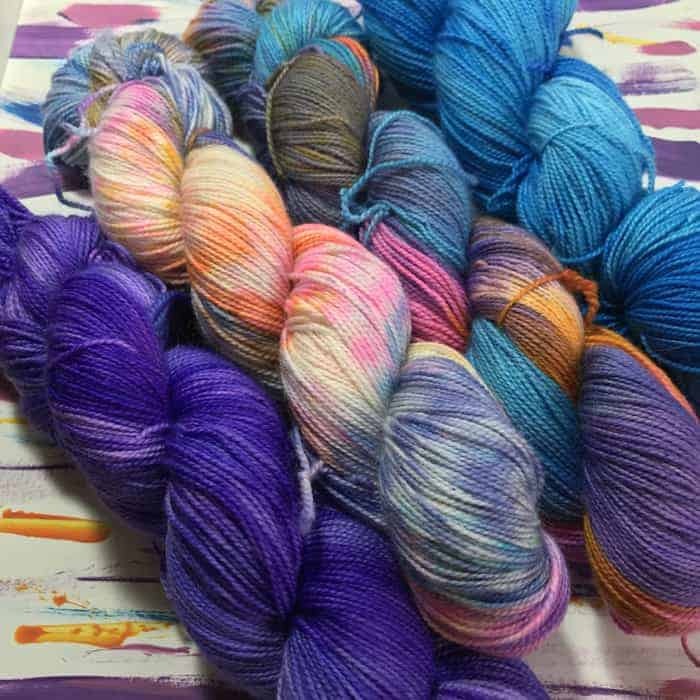 Elisabeth of Wolle’s Yarn Creations has new DK Color Changing Cotton yarns now available in six colors. They are perfect for summer tops that will actually knit up fast, at a gauge of 5 stitches per inch. Julia of Pandia’s Jewels will be releasing her latest shawl pattern, called Winter’s Moon, in May and has created a Pandia’s Moon Box filled with everything you need to make the shawl. Preorders are open through this Sunday. Missy of This Craft Or That has sets available for mug rugs, to hold your cup of coffee or tea and a small snack while you’re working on your WIP. The sets are dyed on Treasure Dust Minis a blend of Superwash Merino, nylon and Lurex. Lisa The Knitting Artist has been busy creating new colors and designs. 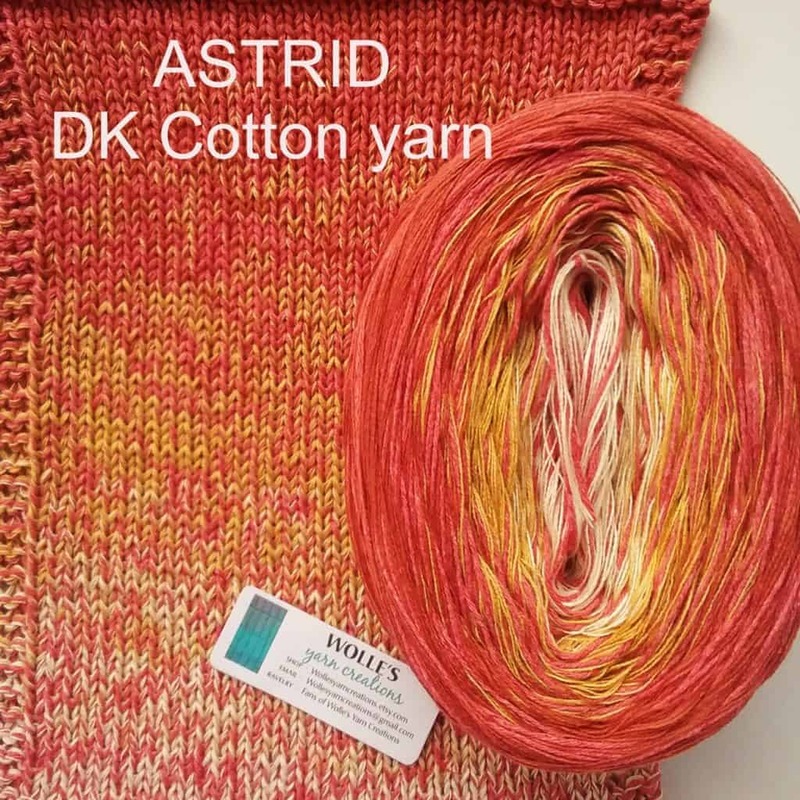 The biggest update is the addition of semi-speckled “paintwater” colorways and tonals that are perfect for fades and striping projects when paired with her original handpainted yarns. 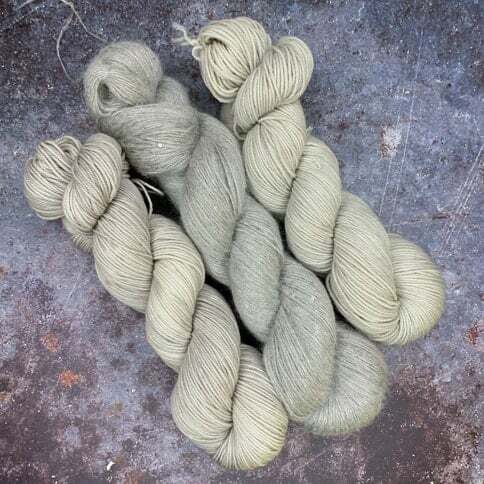 Despondent Dyes has introduced a new non-Superwash sportweight base called Vintage Vixen. 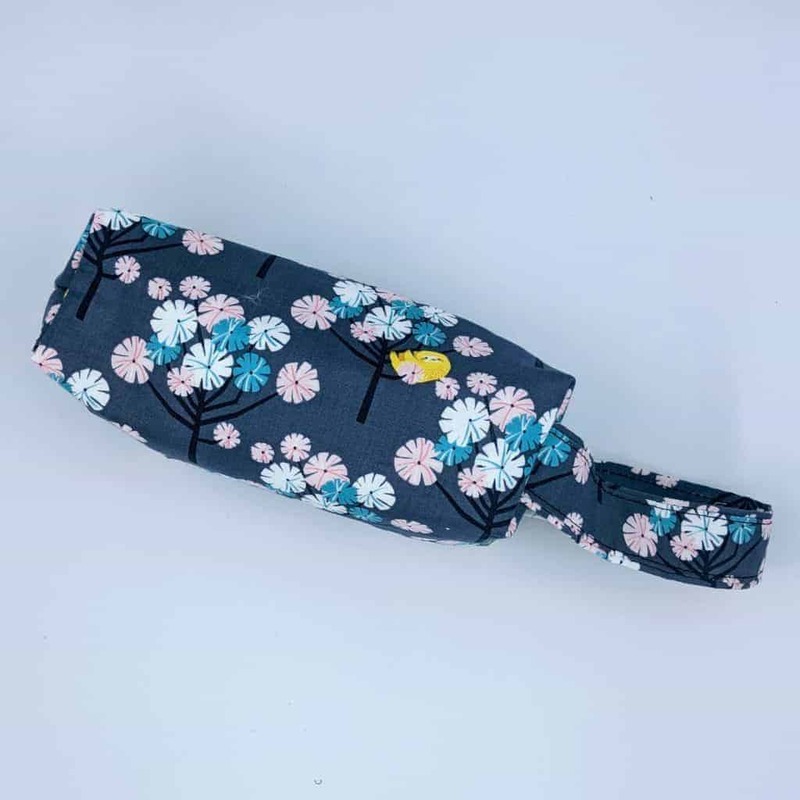 This entry was posted in What to Stash and tagged bags, discount, gradient, kits, limited, preorders, sale, yarn, yarn club. Hello and thank you for stopping by! 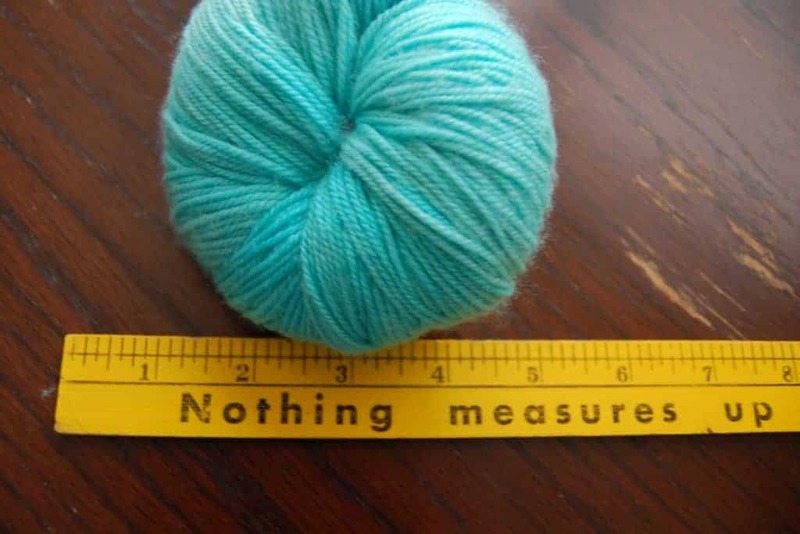 Here on the Indie Untangled blog, you can figure out what to make with your latest stash acquisitions, learn about some talented fiber artisans and much, much more. Indie Untangled is 5! There are some special things to celebrate! So many dyers. One email. Subscribe to the newsletter and stay on top of it all! So many indie dyers. One email. Subscribe to the weekly newsletter and stay on top of it all!